Phil is a landscape, wildlife and adventure photographer, and accomplished mountaineer and lecturer. Based in the English Peak District, his fascination of polar and mountain regions takes him on many journeys to some of the world's most beautiful and remote places. - Alpine Club Antarctic Expedition summited 6 new Antarctic mountains! - See a selection of Expedition Images. 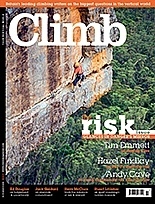 - Expedition article on UK Climbing. - Lindsay Griffin's report on the British Mountaineering Council website. - CLIMB MAGAZINE ARTICLE: The March Edition of Climb Magazine includes my article and photos of last year's Eagle Ski Club Antarctic Expedition. - View the interview / article that Daniel from Cheaptents has written. - View my online exhibition of photographs from the Eagle Ski Club Antarctic Expedition (13 ascents, including 8 firsts). - We made a first Antarctic ascent and ski descent during the Spirit of Amundsen Expedition. - Alpine Club Antarctic Expedition articles now published in Climb Magazine and on p.197 of the 2011 American Alpine Journal. - New Antarctic Movies can now be viewed. - SPITSBERGEN IN 3 MINUTES: I've just added a short film about a day on an expedition ship in the Arctic. - See my latest photos. View some of my latest images from wild places. View some of my short films made during expeditions to the Arctic and Antarctic. Do You Dream of Skiing in Antarctica? Ski-Antarctica organises ski expeditions to Antarctica. Travelling by yacht gives the time and flexibility necessary for a successful ski expedition. Our aim is to make turns... and have an adventure! For further information please visit Ski-Antarctica.com or contact Phil.